23-25 November 2017. Brussels. Meise Botanical Gardens. Stakeholder meeting of the BigPicNic consortium. How do we ensure our growing population has access to sufficient safe and nutritious food? Will we have fertile enough land to grow food in the future? Is it possible to adapt food production to climate change? 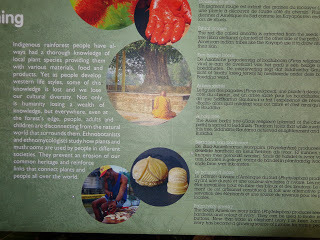 The BigPicnic team involves nineteen Partner organisations, including botanic gardens, universities, a science shop, an institute for art, science and technology, and an international NGO. 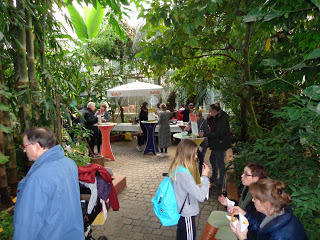 Co-ordinated by Botanic Gardens Conservation International (BGCI), BigPicnic Partners span twelve countries across Europe and one in Uganda. 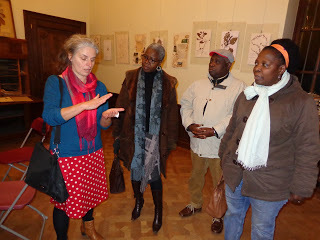 These Partners use a range of travelling exhibitions, activities, science cafés and participatory events, co-created with local people, to generate dialogue and build greater understanding of food security issues. and Innovation (RRI), communicating their views to policy-makers, sharing ideas, and encouraging debate on the future of our food. 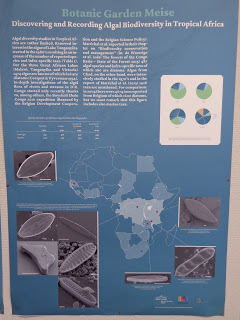 Increase engagement with local and global food security issues through outreach exhibitions and science cafés among diverse audiences. Co-create, with diverse audiences, accessible and novel mechanisms to facilitate interaction and bridge the gap between the public, policy makers and researcher. Utilize the findings of other EU funded projects: INQUIRE, PLACES and VOICES. 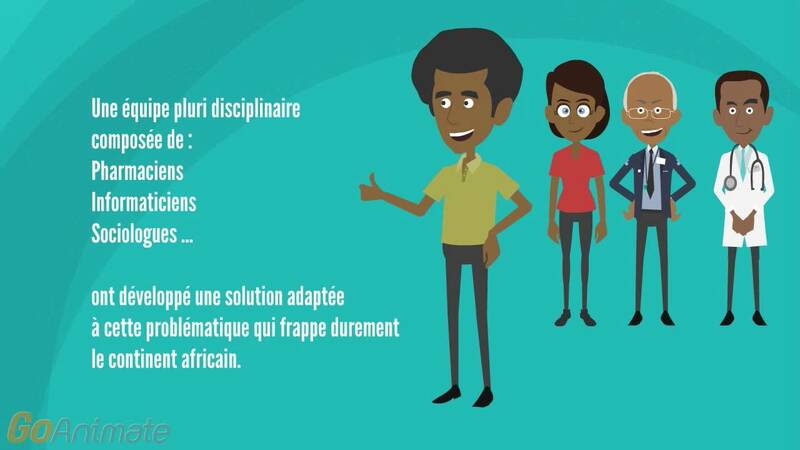 Co-develop tools for measuring the engagement of partners and co-creation teams with RRI and the benefits of the co-creation participatory approach adopted in the project. Tooro Botanical Gardens (TBG) is a community owned organisation founded in 2001 as a centre of excellence in growing and maintaining living plant collections from the Albertine Rift, for conservation, scientific research, education, horticultural and aesthetic purposes. TBG has an edible plant garden and a practical training centre for food plants for different purposes including the “food security/hunger crops” section which demonstrates a range of food security solutions that people can use at home. Participating in BigPicnic has helped TBG to reach out to a wider range of people through mobile food security campaigns under their slogan “kick food insecurity out of Uganda”. Through BigPicnic activities, they aim to connect with farmers, food vendors, students and local communities as they endeavour to increase food availability and accessibility, and reduce food wastage at all levels of the food chain. Mr. Sylvia Kyempapu is also the coordinator of an ngo. Kyempapu is a grassroots non-profit organization that is committed to community development, environmental management, and poverty alleviation in Kirinda, Uganda and its surrounding communities. Kyempapu was founded in 2009 and works out of Kirinda, Kitanda sub-county, about 140 kilometers from Kampala. PLACES, and VOICES and aims to contribute to others like RRI Tools. From the success of these projects BigPicnic employs tried and tested techniques such as Inquiry Based Science Education (IBSE), as well as making use of established networks between the public, scientists and policy-makers, and following best practice in compiling and analysing citizens’ views to advise on future policies and research. INQUIRE was a European Union funded project which aimed reinvigorate inquiry-based science education (IBSE) throughout Europe. It offered training for educators in inquiry-based learning methods, demonstrating how IBSE can inspire students in science and help address biodiversity and climate change. 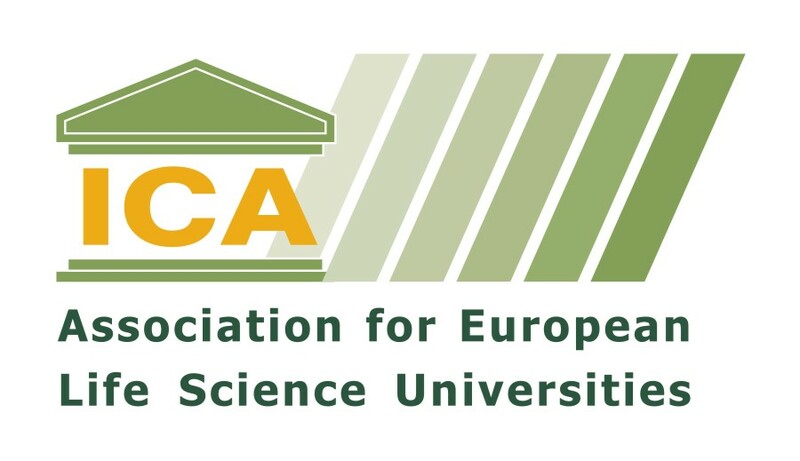 PLACES aimed to generate dialogue and build connections between scientists, policy-makers and society in Europe. The project established hundreds of interconnected local networks, working collaboratively to develop a vision for science policy at city level. 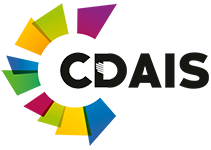 VOICES (Views, Opinions and Ideas of Citizens in Europe on Science) was a Europe-wide public consultation process, gathering 1000 citizens’ hopes, fears, concerns and ideas on the theme of urban waste. The results were used to directly inform policy, feeding into several research calls for the EU Horizon 2020 framework. RRI Tools was a EU 7th Framework funded project that sought to provide a toolkit to allow various stakeholder groups across Europe to put Responsible Research and Innovation into practice. Although it is now after the official end of the funding period, being a participatory Toolkit, the resources are now open to the community, so every actor can showcase their own practices and resources, and get inspired by those of others. The Face behind the Food shows portraits of Belgians of African origin. In front of the camera, they tell their stories about food and moving to Belgium. 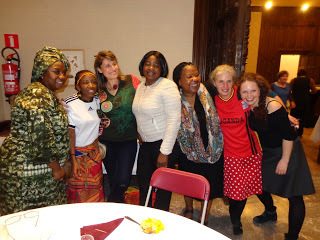 From Abidjan to Aalst, via Matonge and Rue de Brabant. Traditions and memories, foods lost and found. Seemingly simple anecdotes revealing more than one layer. 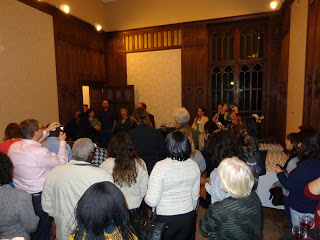 The film (forthcoming online) was created as part of the European Big Picnic project and in collaboration with The Food Bridge association. 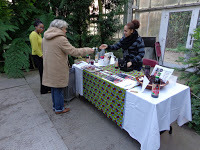 Talina, « Made in Belgium » « Talina, jus de fleur d’hibiscus ». 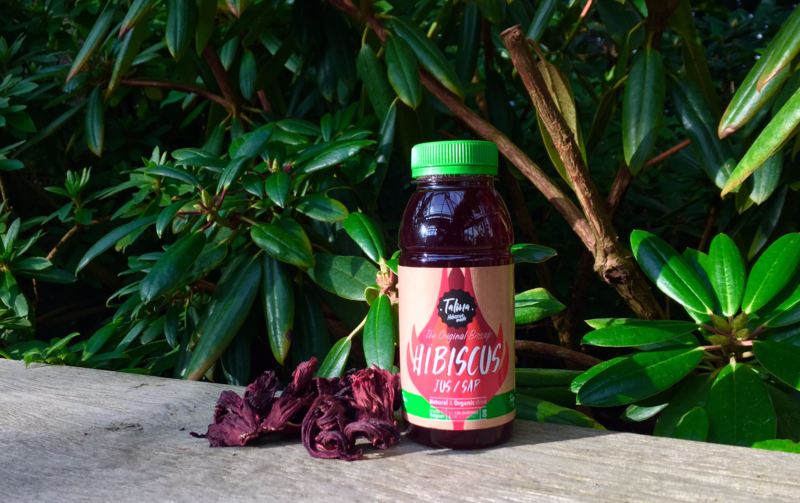 Pour la production du jus d’hibiscus Talina, Talina achete les feuilles séchées d’hibiscus directement chez le cultiveur au Sénégal. La co-fondatrice de Talina est Eva Ba (see picture). La production du jus de fleurs d’hibiscus (et boisson nationale du Sénégal) a une place très importante dans l’économie et projets d’agricultures au Sénégal. Le jus Talina est produit et embouteillé dans son atelier en Belgique. L'”Hibiscus sabdariffa” est connu pour ses vertus thérapeutiques. Elle est riche en vitamine C et en antioxydants, elle fait donc baisser la pression artérielle. Elle empêche la croissance de bactéries nocives. Cette plante est un réel trésor. Solidev is an association that works to improve the living and working conditions of employees in the South. It is led by Zilipa Nyirabyago. Solidev has developed an agro-business model for the recycling of coffee waste through the commercial cultivation of mushrooms at the Kivu highlands in Rwanda. 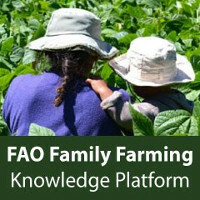 The target group of the project consists of small farmers. They now use 40% of their land for coffee cultivation. This involves several disadvantages. This keeps the family income extremely low: less than 1 euro per day. It is an irregular income, because it depends on the weather, the harvest and the fluctuating coffee price. Because the work on the coffee plantations is seasonal, the growers have been unemployed for almost 7 months a year. Because of the high population density on the Kivu highlands (more than 500 inhabitants per km2) the average farmer has very little agricultural land: less than 1 ha. This while the entire population is dependent on agriculture. In addition, there are serious health risks associated with working in this region, especially for mother and child (pneumonia), while contributions to health insurance are among the lowest in the country. 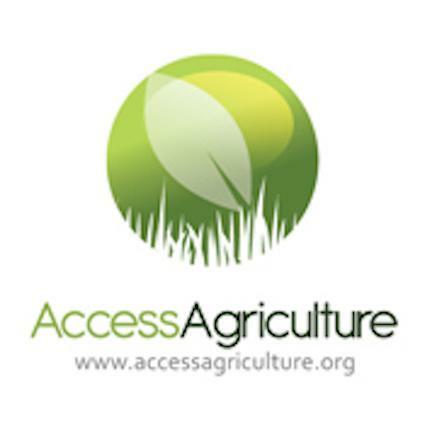 Traditional agriculture brings little food security: agricultural yield is small and one-sided. Traditional coffee production also contaminates the environment with thousands of tons of waste. Over the entire production process, only 1% of the coffee ends up in your coffee bag. 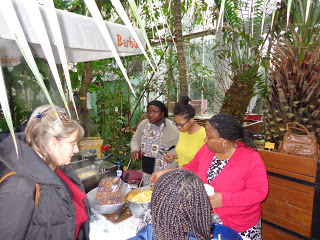 From 13 April until 4 May 2015 , the Botanic Garden Meise (Belgium) undertook a scientific expedition to Rwanda to make an inventory of edible mushrooms from the mountain forests and national parks: Volcanoes National Park, Gishwati Forest Reserve, Nyungwe Forest. Within the group of edible mushrooms are a number of species that have a definite economic value for local communities. These species will be collected and then propagated by Kigali Farms, a for enterprise with a social purpose. This unique project combines fundamental and applied research. Discover the production process of oyster mushroom substrate at our Gicumbi plant, and how farmers throughout the North of Rwanda grow oyster mushrooms for better nutrition. 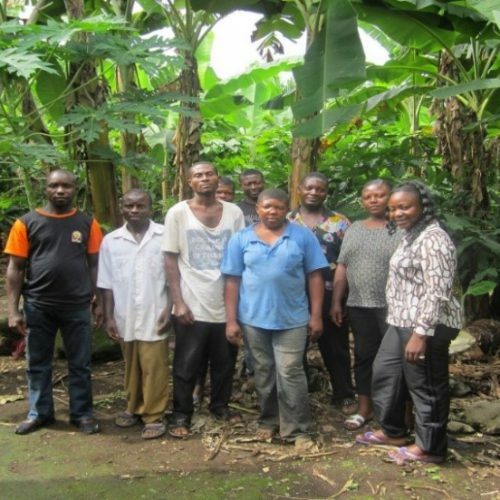 Le Dr Nvenakeng Suzanne Awung, activiste écologique, a lancé en 2014 l’ONG un projet inclusif d’agri-aquaculture à Molyko-Buea, dans le sud-est du Cameroun. Elle s’est appuyée sur les résultats d’une enquête menée un an plus tôt sur les conditions de vie des 41 communautés établies à l’intérieur et autour du Mount Cameroon National Park, laquelle avait montré qu’une agriculture mixte pouvait augmenter sensiblement les revenus de la population. Sous la houlette de l’ONG, les paysans vont cultiver toutes sortes de fruits en coopérative, améliorer les récoltes, pratiquer l’aquaculture, élever différentes espèces de poissons ainsi que des poules pondeuses et des porcs. L’ONG les aide aussi à commercialiser leurs produits. Ils souhaitent à présent augmenter leur production afin de conquérir de nouveaux marchés. 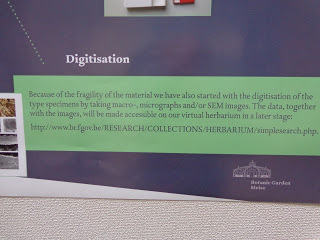 Related: Mass Digitization of the Herbarium collection BR at the Botanic Garden Meise. 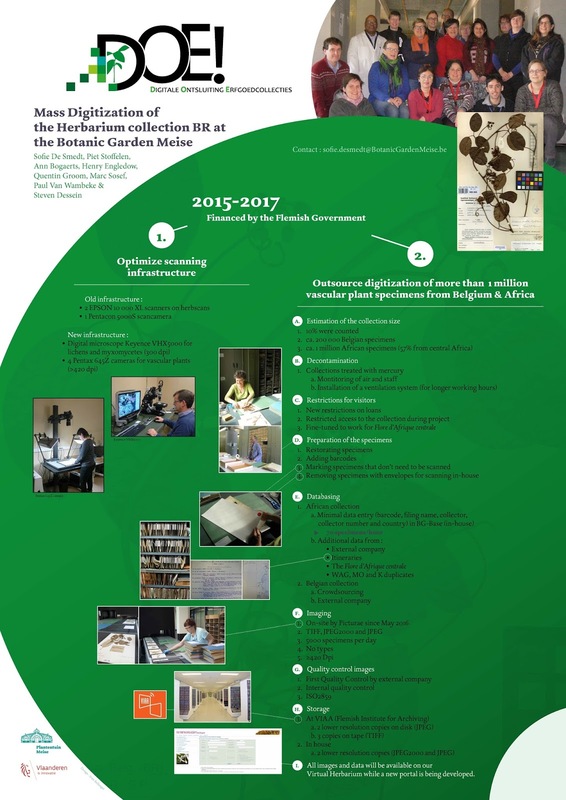 The Herbarium BR of the Botanic Garden Meise received in December 2014 a grant from the Flemish Government to optimize its current scanning infrastructure and to outsource the digitization of the entire Belgian and African Collection (ca. 1,2 million specimens) by the end of 2017. In 2015, the Botanical Gardens optimized its digitization equipment by replacing it with five new imaging machines. This new infrastructure has improved their workflow drastically, enabling them to digitize specimens five to ten times faster, resulting in high resolution and high quality images. Since June 2015, the herbarium technicians started entering minimal required data into the institutional database (i.e. barcode, filing name, collector, collector number and country of origin). Up to now, more than 260.000 records have been created. Supplementary data will be added with the help of an external company and through crowdsourcing. The final goal is to make all images and data available to the public begin of 2018 on a brand-new virtual herbarium.